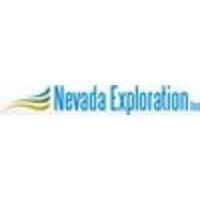 Nevada Exploration Inc. (TSX-V: NGE) (OTCQB: NVDEF) is pleased to announce that it has closed the previously announced private placement offering pursuant to which it has issued 7,752,645 units at a price of $0.275 per Unit, for gross proceeds of $2,131,977, an increase of 1,752,645 Units from the 6,000,000 Units contemplated in the news release dated April 2, 2019. Commenting on the financing, NGE’s President, James Buskard: “The recent news surrounding Barrick Gold Corp. and Newmont Mining Corp.’s Nevada JV has brought renewed interest in exploring for Carlin-type gold deposits in Nevada. Their Nevada JV combines three CTGD camps to create the world’s largest gold complex, with a projected annual production of 4.1 million ounces. These large CTGDs are the types of deposits for which Nevada is famous and represent both the type and scale of deposit that we have built our industry-leading undercover exploration program to search for. Each Unit consists of one common share in the capital of the Company and one-half of one Common Share purchase warrant, with each whole Warrant entitling the holder to acquire an additional Common Share at an exercise price of $0.50 per Common Share for 30 months. If the closing price of the common shares of NGE quoted on the TSX Venture Exchange is greater than $0.90 for 10 consecutive trading days, NGE may accelerate the expiry date of the Warrants to the 30th day after the date on which NGE gives notice to the Warrant holders of such acceleration. All securities issued are subject to a four month plus one day hold period expiring August 11, 2019. Proceeds from the Offering will be used to fund exploration work at NGE’s South Grass Valley, Kelly Creek, and Grass Valley Projects, and for general working capital. In connection with the Offering, the Company paid finders’ fees totalling 320,856 Units.